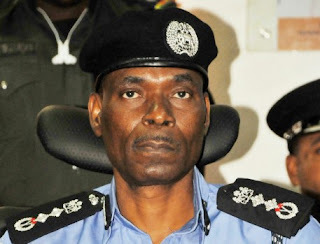 The acting Inspector-General of Police (IGP), Mohammed Adamu, has warned officers and men of the force to abstain from unethical conducts capable of tarnishing the image of the force. The News Agency of Nigeria (NAN) reports that Mr Adamu was on Tuesday appointed by President Muhammadu Buhari as acting IGP following the retirement of his predecessor, Ibrahim Idris, at the age of 60. Mr Adamu gave the warning at the official handover ceremony on Wednesday in Abuja. He urged the police personnel to join him in the course of changing the narratives of policing the country for good. The police boss promised to address the issue of welfare of personnel and other reward regimes that had been a problem in the force. According to him, the absence of this level of leadership has always been the missing link in policing Nigeria. He said the lost glory of the force which had remained a concern to governments at all levels and Nigerians would be restored. "I will provide the highest possible level of professional and responsible leadership to you, while trusting that you shall march hand-in-hand with me as professional colleagues,” he said. He noted that the upcoming 2019 general elections would be an avenue where professionalism and commitment of the force would be subjected to scrutiny. Mr Adamu said the elections were a priority to the leadership of the force, adding that there would soon be deployment of personnel for the elections. He noted that the force would work with the Independent National Electoral Commission (INEC) and sister security agencies for peaceful election. Mr Adamu urged politicians to assist the police and other law enforcement agencies in sustaining the gains recorded in the country’s democratic journey. He urged them to play politics within the dictates of the rules guiding it. “On our part, we assure the nation of our determination to play our roles fairly but firmly toward guaranteeing peaceful electoral process. “We shall not hesitate to deploy our potent asset to deal firmly and decisively with electoral deviants. “With your support, I am confident that we have the operational capacity to ensure the success of the elections,” he said. He commended Mr Idris for his professional service to the country. Earlier, the outgone IGP commended officers and men of the force for their support and commitment to his administration.